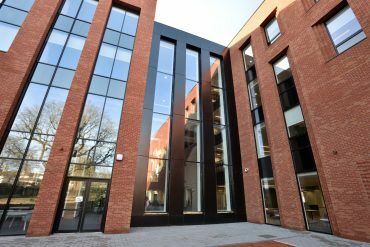 16th February 2018 - Birmingham City University Extension Completes! Birmingham City University Extension Completes! We were delighted to have been employed by BAM Construction to deliver the glazing huddersfield on this fantastic major extension at Birmingham City University. This excellent addition to the University was designed by Sheppard Robson Architects and is located to its City South Campus in Edgbaston. The three story design and build contract will establish laboratories and teaching spaces that allow the development of new courses in health, nutrition, biomedical science and sport.